The almond tree is flowering. It’s that time of the year again. The time of the year that you might come back. You might come back, sit with me for a coffee. Tea, I should say. I don’t think we ever had a coffee together. It was always black tea or unpasteurized milk directly from the sheep you called “Mercan”. Still, mesmerizes me to this very day, how you possibly came up with all these names and furthermore remembered them like they were our extended siblings. Almond trees flowered like hope. Hope arrived into the valley once a year and turned into a hard nutshell in no time. We would all lie down in our beds, in dark, all in one room and listen to the radio playing our favourite theatre show at 10 pm. It always ended at the most exciting part and we had to wait for the next 10 pm chapter. We all fell asleep thinking about the story and perhaps came up with our version, none of us talked about it loudly. I would think of the almond trees before closing my eyes, and the smell of the smoke in the room would take over the world. Your cigarette and the almond trees contrasted in front of the future I imagined and I never thought you would leave without finishing that last cup of black tea. 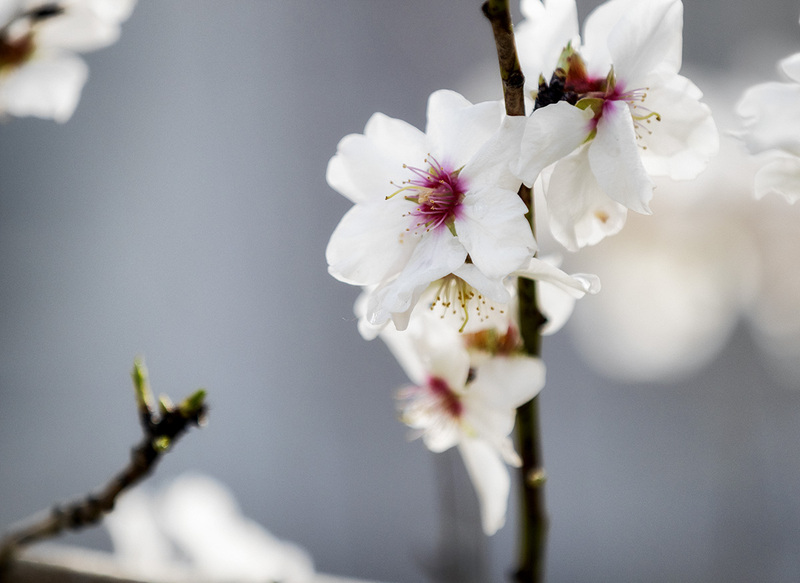 Now the spring is on the way, almond tree is flowering again, perhaps you might come back and finish it with me.